As well as lots of great shops and stores, Malaga also does markets very well. 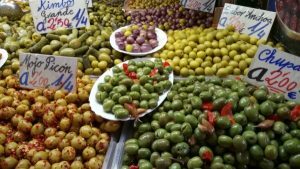 From feasts of fresh produce to the best artisan produce with just about anything else in between, you’ll find it at a market in Malaga. Read on to discover where the best markets in Malaga are, when they’re held and of course, a handy map showing their location. 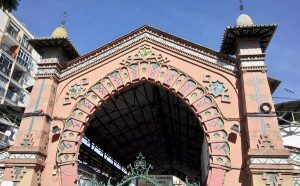 There are three indoor markets in Malaga, all easily reached from the city centre. They all open Monday to Saturday from 8am to 3pm, and you’re free to browse at them all and try before you buy. But, make sure you do buy something and remember, these are working markets where locals buy their food so try not to block the aisles. Note that fish stalls are closed on Mondays. Built as shipyards in Moorish Malaga and still conserving the 14th century gateway to the port, this bustling market sits under a wrought-iron structure backed by a huge stained glass window depicting the city’s main monuments. It’s a big tourist attraction, but locals still flock here with their trolleys for their daily shopping. Tiny bars on the south side offer tapas and snacks – eat inside at the packed bar counters or perch at outdoor tables. Feast your senses (all five of them) on the laden stalls, most of which sell local produce. Slightly off the beaten track to the north of the city centre, the Mercado de Salamanca has a simply stunning façade built in the Neoclassical style. Built in 1922, it has a wrought-iron outside with lots of brightly coloured tiles. Due for a much-needed restoration (scheduled for later in 2018), this market has just a handful of stalls inside but the atmosphere is truly authentic. The Mercado del Carmen is located in El Perchel district between the mainline train station and the city centre. This modern structure doesn’t offer much in the way of architecture but it’s a quieter way to see and sample local produce without the tourist crowds. The adjacent San Andrés Convent has just been restored and is well worth a look. Spain does street markets well and Malaga is no exception. Here’s a round-up of some of the flea markets in Malaga. 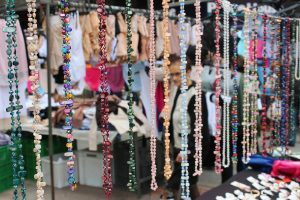 A giant weekly market – there are over 300 stalls – sell everything from clothes and household linen to fruit and sweets via bric-a-brac and cheap toys. In the warmer months, go early to escape the heat. Recinto Ferial. Take the 64 bus from Alameda (every 20 mins) and get off at the last stop (2463). Located just next to the bridge into El Palo, this small market has stalls selling bric-a-brac, clothes, fruit and vegetables, and flowers. Combine a visit with lunch at one of the great fish restaurants in El Palo. Read more about this part of Malaga. This arts and crafts market takes place on the first 3 Sundays of the month along the portside at Muelle Uno. Check the dates here. http://www.muelleuno.com/agenda/ Lots of homemade crafts, jewelry and clothes (new and second hand) as well as local artwork stands next to the Pompidou Centre. Great views of the city skyline and there’s often live entertainment too. On the square outside Picasso’s birthplace, this arts and crafts market takes place on the last Sunday of every month. Stock up on treats for your picnic at these organic markets held twice a month where local food producers from the Guadalhorce Valley to the north of Malaga city sell their organic wares such as fruit and vegetables, cheeses, honey and conserves, and bread and cakes. 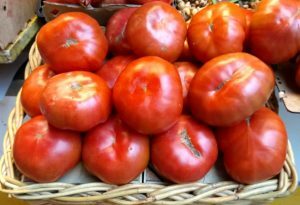 Definitely a market in Malaga with a difference, this once a month event takes place at La Térmica cultural centre (check our What’s on in Malaga post for details). 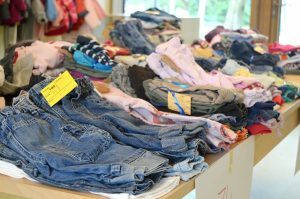 Known as Red Friday, this market offers a feast of retro items – phones, clothes, vinyls and antiques – as well as collectables such as stamps, coins, comics and Playmobile characters. There are food trucks, live entertainment and documentaries in English. And while you’re browsing, take the stunning architecture (don’t miss the original coloured floor tiles) in La Térmica cultural centre built as a hospital in the early 20th century. Avda de los Guindos 48. Take the 7 bus from the Alameda Principal and get off at Santa Paula stop (1524). Christmas in Malaga wouldn’t be the same without the markets. They take place at various locations throughout December and early January including Muelle Uno and the Paseo del Parque. There are also one-off markets, usually at the Concepción Botanical Gardens and in Soho. Read more about Christmas in Malaga.